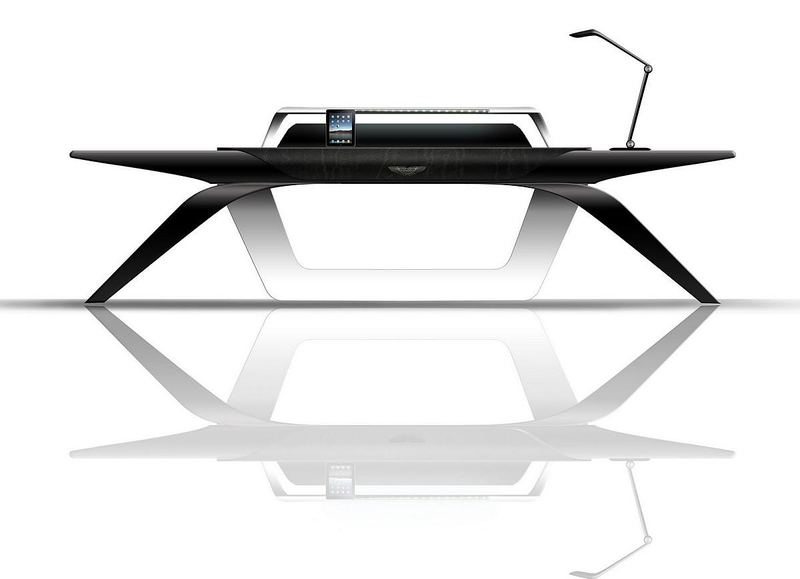 HomeBlogHome DecorAston Martin Office Desk by Formitalia Luxury Group. 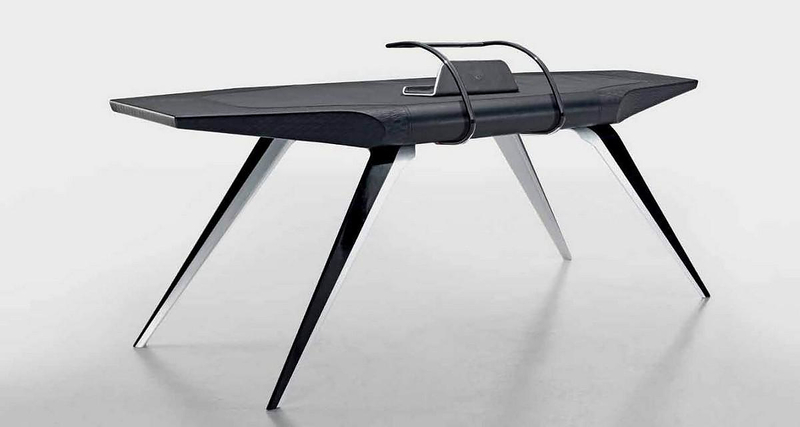 Functional, graceful and elegant the Aston Martin Office Desk by Formitalia conveys that same unique sporty luxurious feeling as the emblematic British sports cars. Creations such the legendary Aston Martin Vantage, the sporty Aston Martin DB9 and the extravagant and exclusive Aston Martin One-77 are undoubtedly beautiful examples of automotive craftsmanship. Yet even if you are lucky enough to own one of those beauties, how much time you spend in the car? Before you decide to start working inside the car, you should really have a look at the Aston Martin furniture collection made by Italian brand Formitalia Luxury Group. 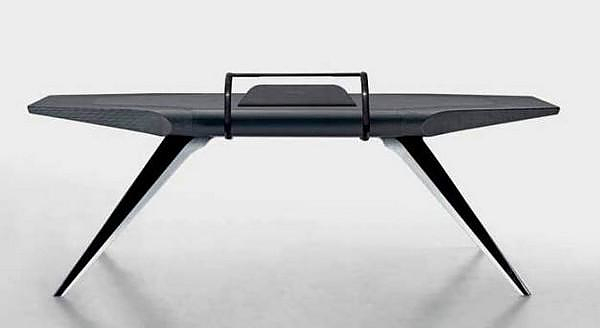 A range that includes magnificent office furniture as potent as a V12 Vantage, in their own right. The whole collection is indeed superb, imposing, unique, and iconic, while the craftsmanship is just stellar, yet our favorite piece is surely the V031 Aston Martin Office Desk. Styled after an Aston Martin sports car, one of the world’s most respected luxury automotive brands, this desk is a sight to behold. Aston Martin is famous for combining high-tech materials such as Kevlar and carbon fiber, with traditional luxury materials, such as cashmere and leather. The same principles were applied when designing the Aston Martin Office Desk. The desk is made from a sheet of folded aluminum and sports a matching slanted drawer, all wrapped-up in a luxurious leather finish. 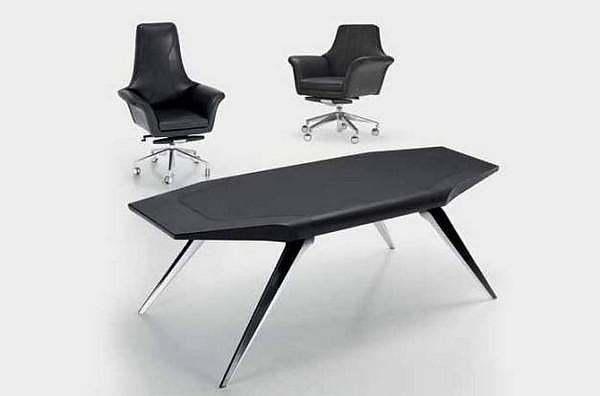 This desk seems capable of slinking through a wind-tunnel without any problem at all, while at the same time looking utterly luxurious. The result is an exceptional piece of furniture, which looks dynamic and contemporary, while maintaining a gentleman’s style. 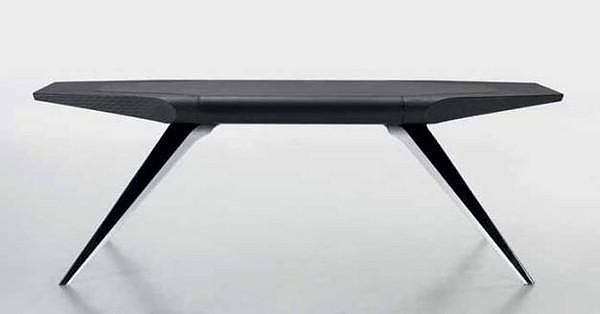 Surely if James Bond was to spend time at a desk (rather than blowing things up) this would be the only desk fit for the purpose.